I must preface this with a bit of honesty: When Sandy first asked me to read her book I was hesitant since I realized that it was a romantic story and that is usually not my taste. However, since I have known her for so long, and I respect her as the creator of StarShine, and truly admire her general tenacity as an interviewer, I figured, why not? 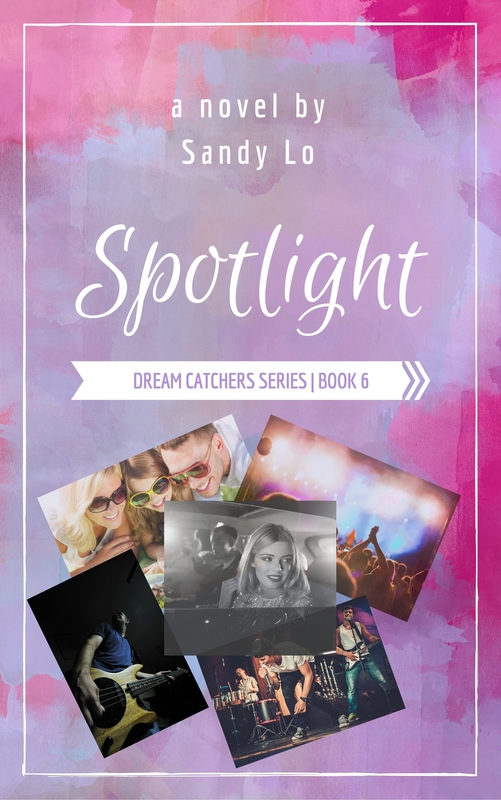 Sandy Lo’s telling of this romantic realization tale is truly a classically easy read. Her characters are not only three-dimensional but interact with each other in a hugely personal way. Any woman who has ever been in a complicated relationship can certainly identify with “Cooper Jackson”. She is a vibrant, passionate young woman searching for herself in the wake of her Mother’s passing. As all of us humans, Cooper seeks out true love, understanding and compassion. She ventures into a world she knows nothing about filled with time moving at a zillion miles an hour and egos bigger than the planet. To set the story in motion, Cooper gets caught up in not one, but two relationships. Of course, one is accessible and the other not so much. A choice must be made! Following Cooper on her adventures into the twilight zone realm of a world renowned pop group is a unique glimpse into the music industry as few know it. That coupled with the dynamics of the group as celebrities, boyfriends and lovers just adds to the titillating events as they unfold. Between the delightful banter that will make you chuckle and the drama of young emotions raging off the page, this book will draw you in. The ending of the story I will not give away but suffice to say you will be pleasantly surprised. As I said in the beginning of this review, usually romances are not my cup of tea. But I have to admit, first, reading about a character kind of modeled after me was fun and heartwarming. Second, I am so looking forward to future stories from Sandy Lo.